Woody always shared a a special connection with Bo Peep, but they haven’t seen each other in years. She has turned out to be an adventure-seeking free spirit who feels right at home on the road and with anyone she meet. When she and Woody are reunited under unlikely circumstances, they realize they’ve grown worlds apart when it comes to life as a toy. Woody (voice of Tom Hanks) has always been confident about his place in the world, and that his priority is taking care of his kid, whether that’s Andy or Bonnie. So when Bonnie’s beloved new craft-project-turned-toy, Forky (voice of Tony Hale), declares himself as trash and not a toy, Woody takes it upon himself to show Forky why he should embrace being a toy. But when Bonnie takes the whole gang on her family’s road trip excursion, Woody ends up on an unexpected detour that includes a reunion with his long-lost friend Bo Peep. After years of being on her own, Bo Peeps adventurous spirit and life on the road belie her delicate porcelain exterior. As Woody and Bo realize they’re worlds apart when it comes to life as a toy, they soon come to find that’s the least of their worries. 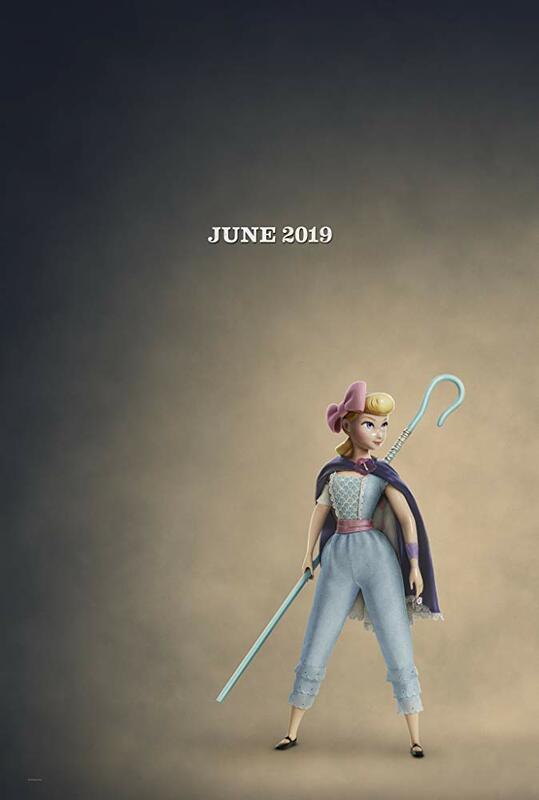 In addition to Hanks and Potts, ‘Toy Story 4’ also features the voices of Tim Allen, Tony Hale, Keegan-Michael Key, Jordan Peele, Joan Cusack, Wallace Shawn, John Ratzenberger, Blake Clark, Don Rickles and Estelle Harris. The adventure movie on the comedy, visit its Facebook, Twitter and Instagram pages.